﻿Published by Sareth Ney on May 15, 2017 at 12:39 p.m.
Photo credit: Warner Music Group. JACKSONVILLE, Fla. – Paramore begins their “Tour Two” at Moran Theater, on Sept. 6. The expedition comes to an end on Oct. 17 at Ryman Auditorium, in Nashville, Tenn. Livenation will produce the trek. Hayley Williams is the vocalist, Taylor York is the guitarist and Zac Farro is the drummer of Paramore. They are from Nashville, Tenn. and are part of the Fueled By Ramen roster. While on the “Tour Two” tour—Paramore will be promoting their fifth album, “After Laughter”. It is the first album, in a little over four years. The record is available at all retailers and on streaming service. Music videos for “Hard Times” and “Told You So” are available on YouTube. In one month, “Hard Times” received over 25 million views. “Told You So” has been seen over seven million times, in two weeks. It was directed by Aaron Joseph and Farro. It could be seen on Fueled By Ramen’s official YouTube Channel. “Hard Times” and “Told You So” were the recently released songs. 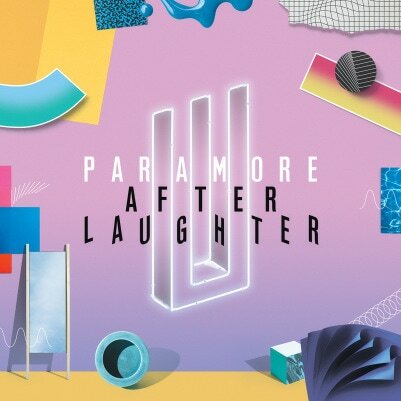 The rest of “After Laughter” track listing include: “Rose-Colored Boy”, “Forgiveness”, “Fake Happy”, “26”, “Pool”, “Grudges”, “Caught In The Middle”, “Idle Worship”, “No Friend” and “Tell Me How”. It was produced by Justin Meldal-Johnson and York. It was recorded at RCA Studio A in Nashville, Tenn. The studio recording reunited Paramore with Farro. Ticketmaster Verified Fan code registration begins on May 15 at 10 a.m. Eastern Time to 10 p.m. Pacific Time. Presales are available on May 17 at 10 a.m. AT&T’s customers are able to purchase tickets on May 18 at 10 p.m. via AT&T’s THANKS program. Citi® credit card members are able to purchase vouchers on May 20 at 10 a.m. Public sales begin on May 24 at 10 a.m. All times are local. For complete details, visit Paramore’s website here. Sept. 24 - Paramount Theatre, Oakland, Calif.
Oct. 10 - Sands Bethlehem Event Center, Bethlehem, Pa.
Oct. 17 - Ryan Auditorium, Nashville, Tenn.